KIEV, Ukraine -- President Viktor Yanukovych on March 7 pompously instructed the Ukrainian government to launch social reforms. The plan boils down to bribing the poorest strata with handouts at a time when the coffers are nearly empty and international creditors want to see less government spending. The handouts are timed to coincide with the start of a parliamentary election campaign. Yanukovych may fall in the same trap as his predecessors, former President Viktor Yushchenko and Prime Minister Yulya Tymoshenko, who in 2007-2009 tried to bribe voters with steps that looked suspiciously similar but lost popular support along with damaging the economy. Yanukovych announced that pensions would be raised from May-July for some nine million people who retired before 2008 out of the total population of 45 million, as well as for military retirees, war veterans and children from poor families. Yanukovych promised mortgage rates as low as 2-3 percent from May, compared to current double-digit rates. He said the government would compensate banks for the low rates. Yanukovych also promised to pay 1,000 hryvnya ($125) in one-off compensation to some six million depositors of the defunct Soviet Sberbank (state savings bank). 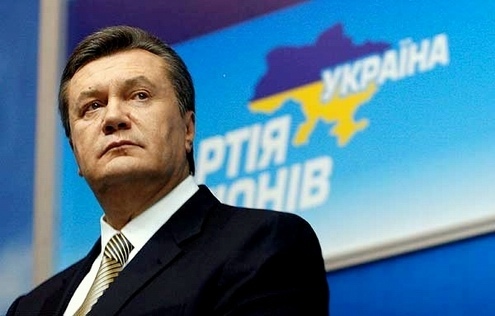 All of Yanukovych’s predecessors raised pensions before crucial elections. Tymoshenko invented the 1,000-hryvnya handout in 2008 with an eye to the January 2010 presidential election. Tymoshenko lost the election to Yanukovych who, ironically, has now resurrected her idea in order to defeat her party in the election scheduled for October 28.
International creditors did not like “Yulya’s thousand,” so complications with the International Monetary Fund (IMF) are inevitable again. However, Yanukovych apparently has abandoned the hope of receiving anything from the $15-billion assistance package, which the IMF froze last year, at least until after the election. Addressing female dignitaries on March 6 ahead of International Women’s Day on March 8, which is a holiday in Ukraine, Yanukovych said his government “has not accepted and will never accept” the IMF’s condition to increase domestic gas prices. This is a sure sign that the ruling party will present the refusal to hike gas prices – which would be needed to unfreeze the IMF loans – as an achievement to be proud of in the run-up to the parliamentary election. The IMF last month advised that the government hike domestic gas prices by 30 percent for households and by 58 percent for utility companies. Without the hikes, the state-owned oil and gas behemoth Naftohaz Ukrainy, whose deficit amounted to 1.6 percent of GDP last year, will continue to burden the state budget. Yanukovych’s pre-election initiative must have caught even key members of his team by surprise, as officials widely differed in their assessments of spending involved. Yanukovych’s economy aide, Iryna Akimova, estimated that an additional $1 billion would be spent from the state budget on all the new measures planned by Yanukovych. This is no small sum for the national economy, equalling roughly as much as Naftohaz pays Gazprom for monthly deliveries of gas, which traditionally accounts for almost one-fifth of national imports. However, Deputy Prime Minister Serhy Tyhypko estimated that twice as much, namely $2 billion, would be needed. What is more, he said the estimate did not include the planned compensations for low mortgage rates. At the same time, he asserted that the Finance Ministry had funds for everything. The government has failed to explain where exactly the money will come from. Central bank governor Serhy Arbuzov ruled out printing money. Tyhypko said $375 million would come from a luxury tax and a tax on offshore transactions, both of which the parliament has yet to pass. He also said as much as $3.5 billion could be received from reducing the share of the shadow economy. However, several months ago Tyhypko planned to use proceeds from the two new taxes to finance the Pension Fund deficit, which amounted to 1.4 percent of GDP last year. If the proceeds are used on pension hikes instead, the gap will hardly narrow, making it even harder for the government to negotiate with the IMF and other international financial institutions. As to the shadow economy, no Ukrainian government has thus far managed to significantly reduce its share, estimated at 30-50 percent. It is not clear how Tyhypko is going to proceed with that, given that Ukraine’s taxation system remains one of the world’s worst, according to the World Bank’s annual Doing Business survey for 2012. Yanukovych himself was even less convincing, speaking in an interview with 1+1 TV on March 11. He claimed that GDP growth at 4.2 percent in 2010 and 5.3 percent last year, as well as positive expectations for this year, allowed the government to come up with the initiatives to improve living standards. However, the economy, after plunging by 15 percent in 2009, has not yet returned to the pre-crisis level. Moreover, excessive optimism about revenues may be dangerous at a time when the government struggles to refinance its external debt and with contagion from the Eurozone crisis spreading to Ukraine.